As I already told that Formidable Pro is one unique WordPress Plugin that allows us to create data-management applications (business directory, employee management, student management, patient management system, etc) with WordPress. Utilizing Formidable Pro, I have been making a decent amount of money spending a few hours a month. 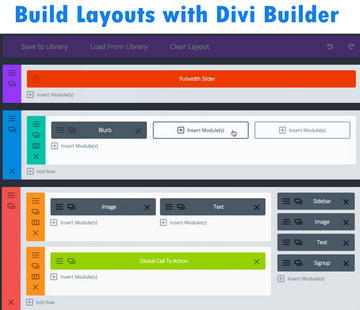 Finally, I decided to write a comprehensive post that includes a step by step tutorial to build a data display system on frontend where you and your clients (and visitors too, if you want) could search, filter and edit their data. In the data management system, everything comes after form building. 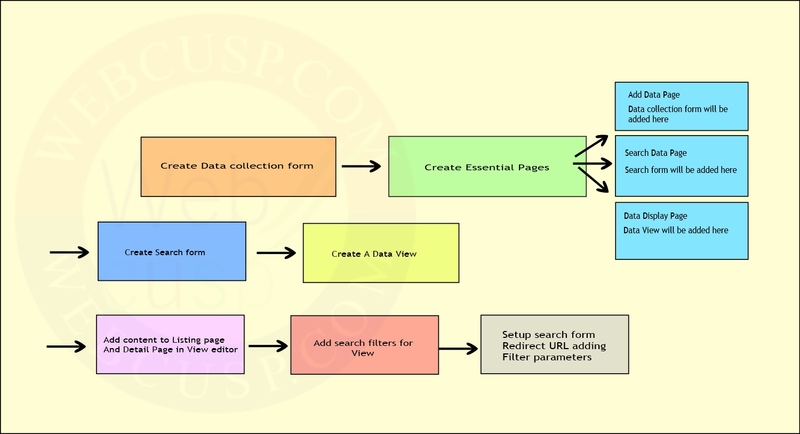 We need to create a form to collect data from frontend or backend. Formidable Pro is one the best tool to generate advanced forms in a matter of seconds. It offers incredible options to customize form functionality and style as well. 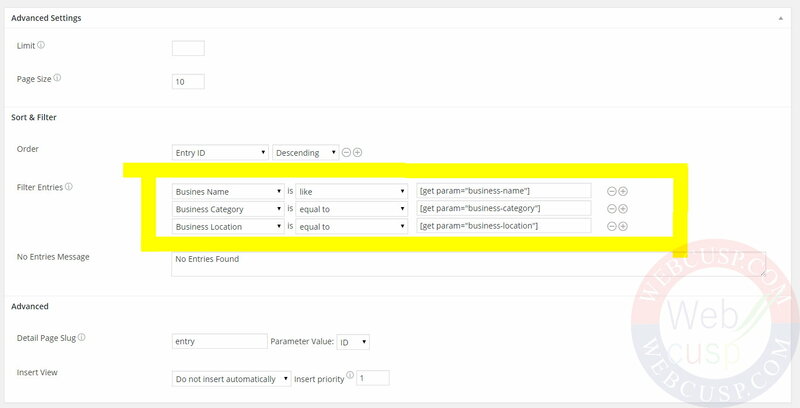 — As duplicated form contains all fields copy of Local Business, you need to keep only those fields that you want to filter entries with. 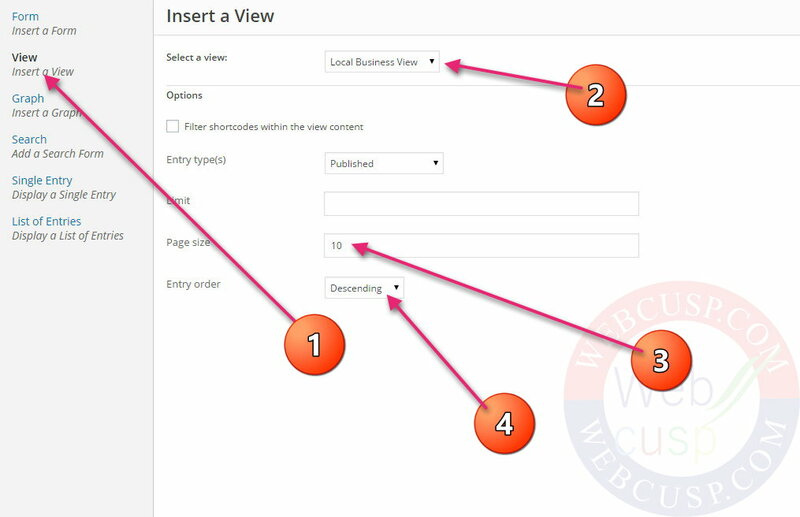 For instance, we want to filter form data with Business Name, Business Category, Business Location. Simply delete all other fields from this search form and save it. In general settings tab, see what we need to change. Below is the exact settings we need. Make sure that you have deleted default email notification in your search form. As we have copied Local Business form to create Filter Data Form that doesn't have any default email notification, we find nothing in this section. It is the most important and core part of building data display system. View is a custom post type offered by Formidable Pro. The beauty of View is that we can display form entries and a single entry in a way without knowing PHP. 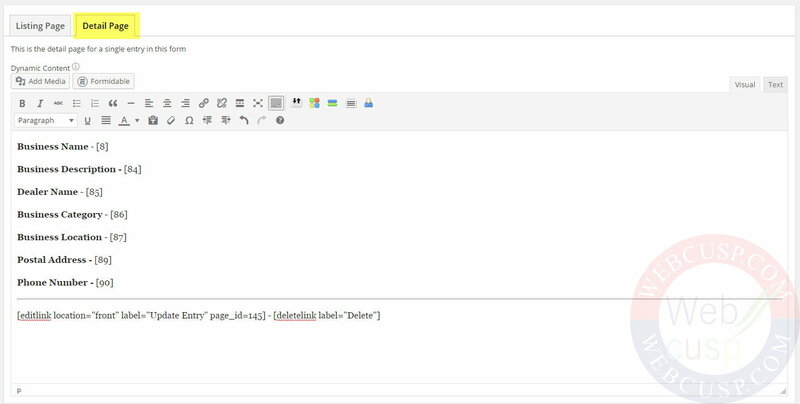 In View editor, Fields IDs are provided and when you add a field ID in view editor, it will pull data from entries dynamically. For instance, if you add filed id of Dealer Name field, it will display dealer name per entry. Note – Field IDs given above are the field IDs generated by Formidable Pro randomly and you need to replace these IDs with IDs generated by your Formidable installation. Keep in mind that you are free to add custom formatting using WordPress text editor and even you can add your own custom HTML and CSS to make your data view attractive and professional. Additionally, you can modify your custom text and formatting anytime in future. 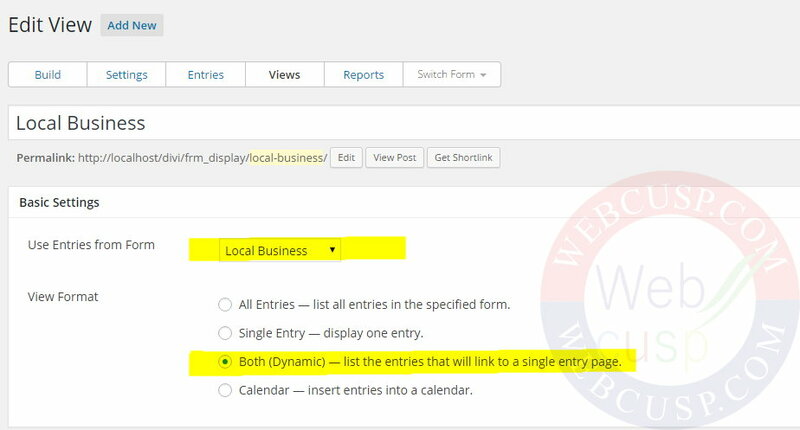 [detaillink] – It will pull the exact URL of entry detail page and will not add the clickable link in View. we need to add some text and then add this shortcode as a hyperlink to that text. WordPress doesn’t show page IDs as explicit data and we need to look in to page edit link to get page ID of a specific page. To find out page ID of Add Data Page, edit it and then look into the address bar. Note – Page ID is unique for every page, post or custom post type. So you need to check it manually for a page. — After adding sample entries, go to pages > Data Display Page > Locate Formidable Pro button below Title editor and click on it. 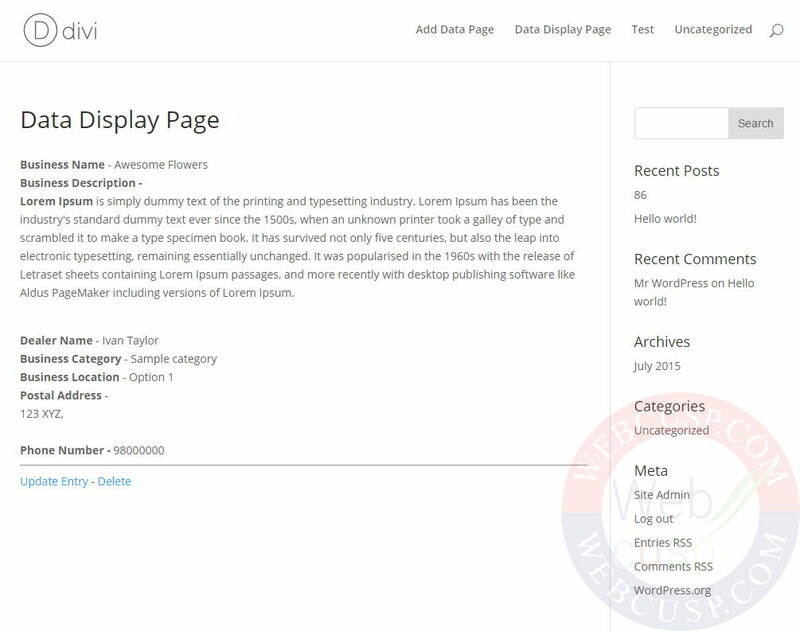 Select the View and customize display settings as shown in given image and then update the page. 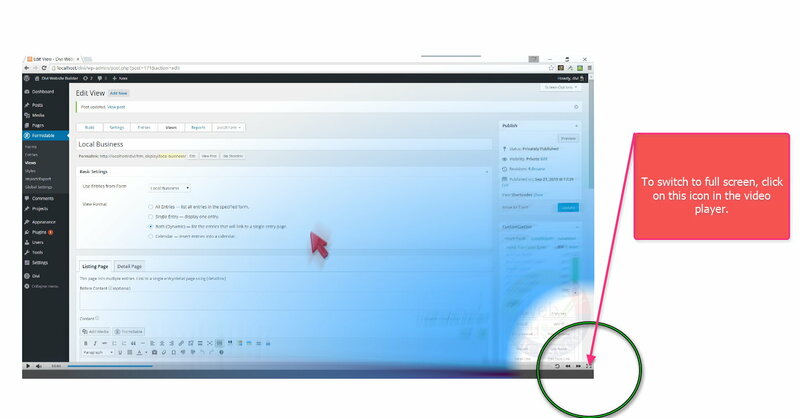 You can add content to listing detail page in the same way we have added content to Listing Page in the previous step. The only difference between Listing Page and Listing Detail Page is that in Listing Page you should add brief data related to your listing, on the other hand Listing Detail Page should contain all data of the listing. But you are free to add whatever you want in both content section without any restriction. We have just finished basic setup of Detail page. Literally almost 70% work is done and now we will work with entries filtering using Filter Data Form and View’s Advanced settings section. Red text represent filter parameters added in Data Display View and green text represents field id of same named fields in search form. — We are all set to filter submitted entries via Filter data form on frontend. — Open Search data page and try searching something. We have added 2 sample entries and we will try searching some data available in these entries. 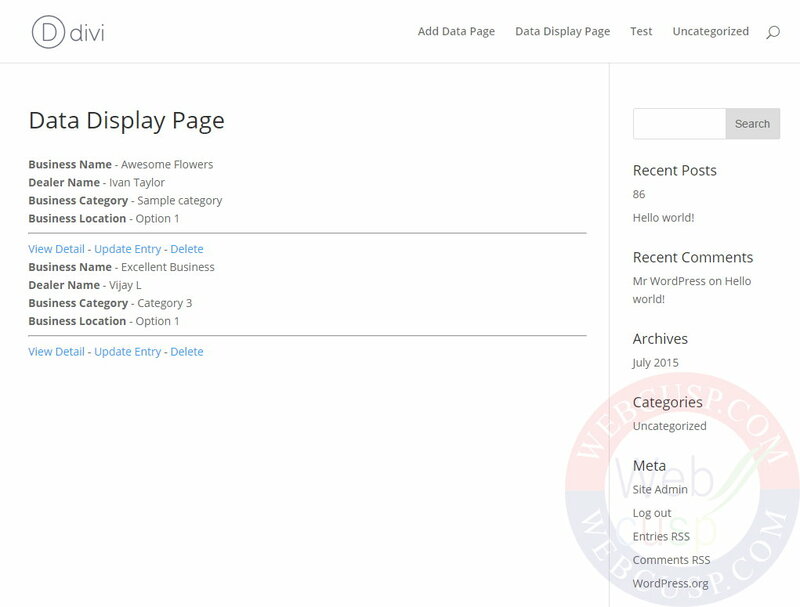 For example, we have added Business Name – Awesome flowers in one of the sample entries and we search it in Business name in Search data page. 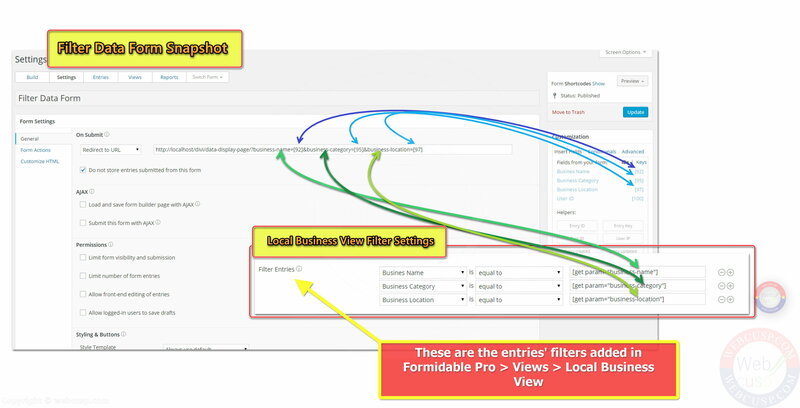 Formidable Pro offers flexible filtering of form data using its smart search algorithm. You can set a search filter is; equal to, no equal not, like, not like, greater than, less than, greater than or equal to, less than or equal to, starts with, ends with, unique. Congratulation. 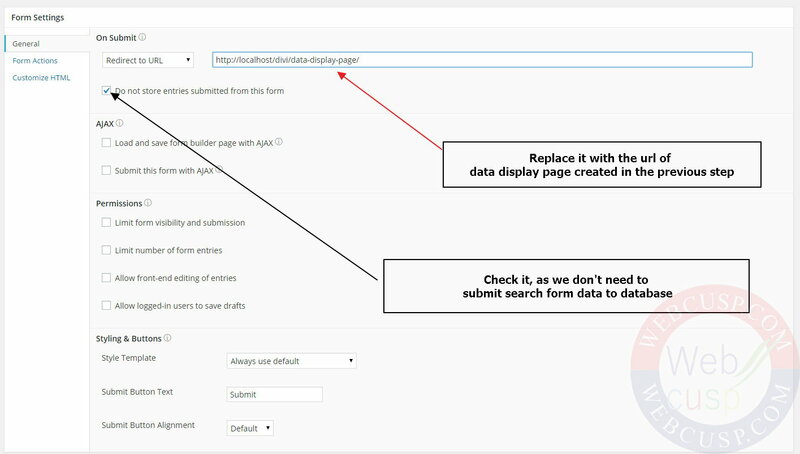 Our essential setup to display, edit, delete and filter form entries on frontend has been accomplished. Thank you for this helpful guide. Does this plug-in work for wordpress.org, wordpress.com, or both? 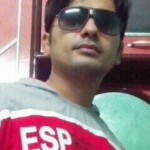 It works for self hosted WordPress (wordpress.org). I am afraid that it is not available with wordpress.com. In an application of book lending, I want to create a User’s dashboard on which I want to display the number/times he/she has borrowed from my library. What type of calculation do I need to use, please suggest me with the code.